‘Tis the season for wedding bookings! 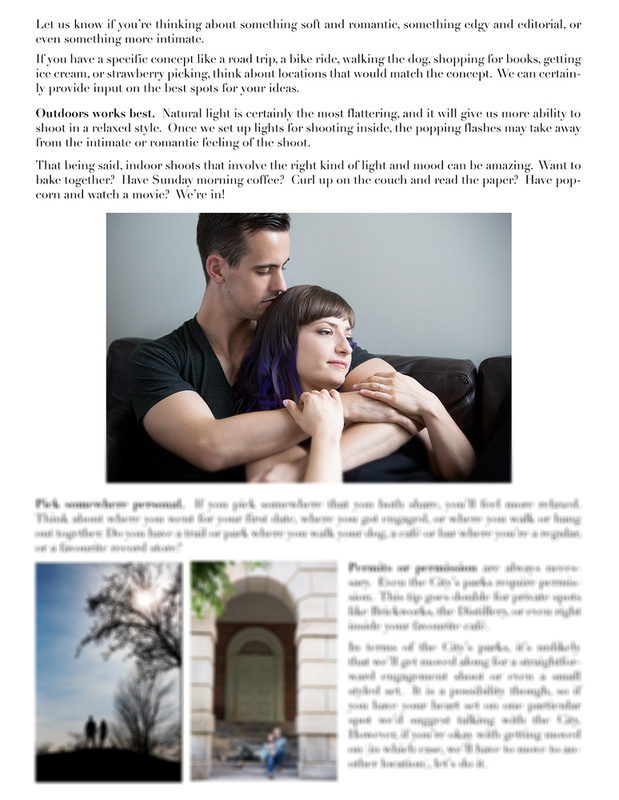 With that in mind, here is part two of an overview of my engagement shoot prep booklet. I provided this information to my couples when I was regularly shooting weddings. I hope that you find this helpful. I don’t know about you, but I’ve always found that any type of photo shoot that doesn’t involve professional models works best when the subjects are relaxed and enjoying themselves. "The first thing to do is to think of what you do as a couple or where you like to spend your free time together." If I could, I encouraged my couples to pick somewhere that was important to them. 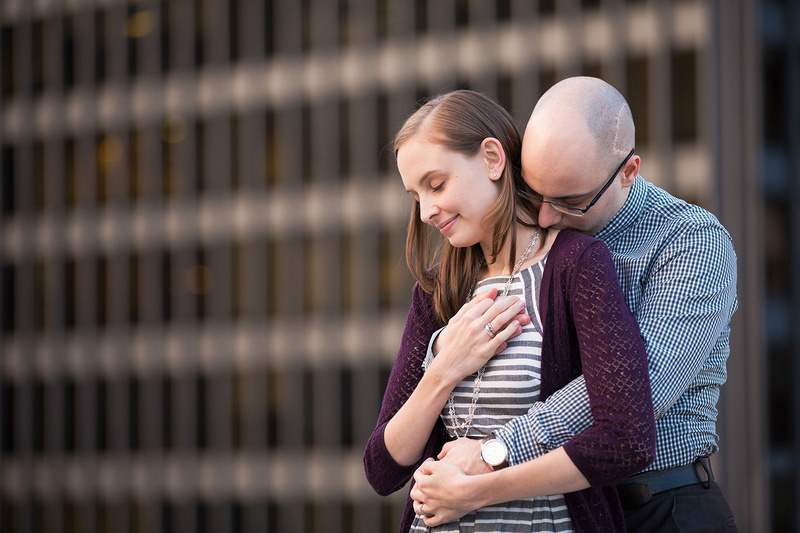 I hoped that using a familiar space would help them feel more relaxed in front of my camera. For example, I asked them to think about where they went on their first date, where they got engaged, or where they walk or hang out together. More specifically, I’d direct them to use a trail or park where they liked to walk their dog, a café or bar where they were regulars, or a favorite record store. 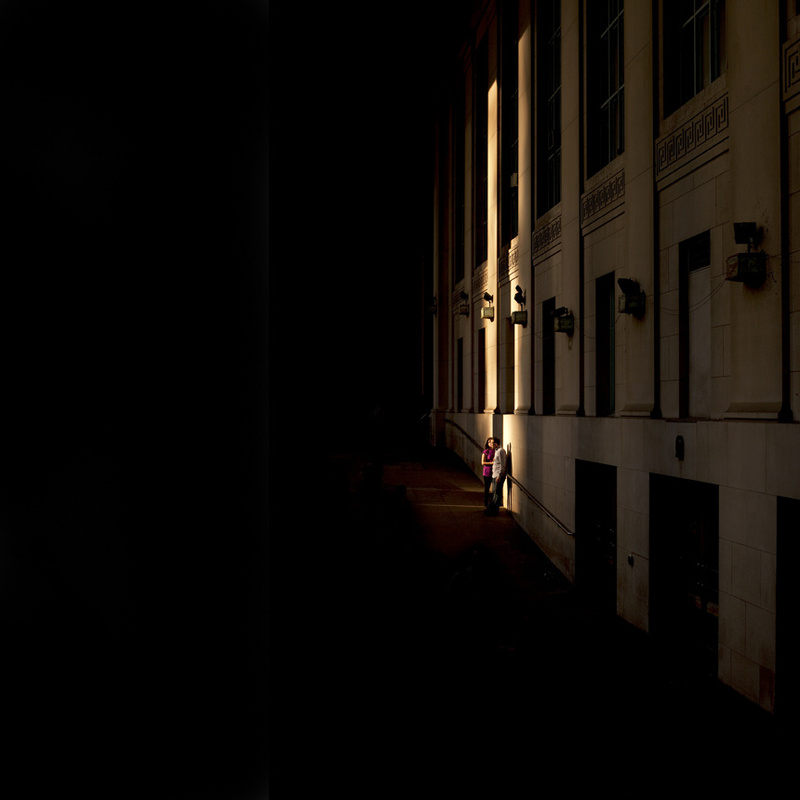 I explained that the location of the shoot would often dictate the feeling of the final images. If the shoot was down by the lake or north of the city in one of the regional forests, the images from the shoot would often have a softer, more romantic feeling. If we set up in the alleys around the downtown core or we found ourselves wandering between the kilns at one of the city’s former factories, the shoot would likely produce edgier, more editorial type images. Similarly, if my couple had a concept in mind, like a road trip, a bike ride, or book shopping, I’d note how critical it was to match the concept with the location. There is no point in setting up a picnic in a claustrophobic parkette. With all the spots that my couples could chose, I always steered them towards being outside. Again, when I’m not dealing with professional models, I find that natural light results in the most flattering images as it gives me the ability to shoot in a relaxed style. Once I set up lights for shooting inside, the popping flashes can take away from the intimate or romantic feeling of the shoot. 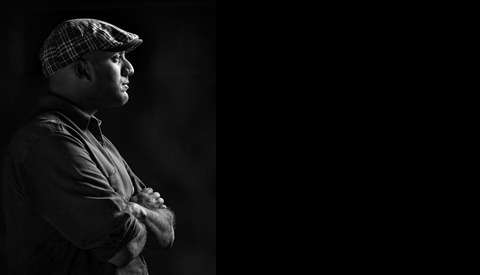 I find that strobes can add too much pressure to a potentially stressful experience for non-professional models. That being said, indoor shoots that involve the right kind of light and mood can be amazing. Perhaps encourage your couples to bake together, have Sunday morning coffee, pop some corn and watch a movie? Certainly not as fun as planning locations but, potentially, more important, I found it was critical to let my couples know about the hidden pitfalls of permits and permissions. As I explained in part one, being a former lawyer means that I strive to ensure that everyone has reasonable expectations. The last thing that I wanted was to show up to shoot and be told by the property owner or city bylaw officers to move it along. If we ended up getting moved along, nobody would get what they wanted. 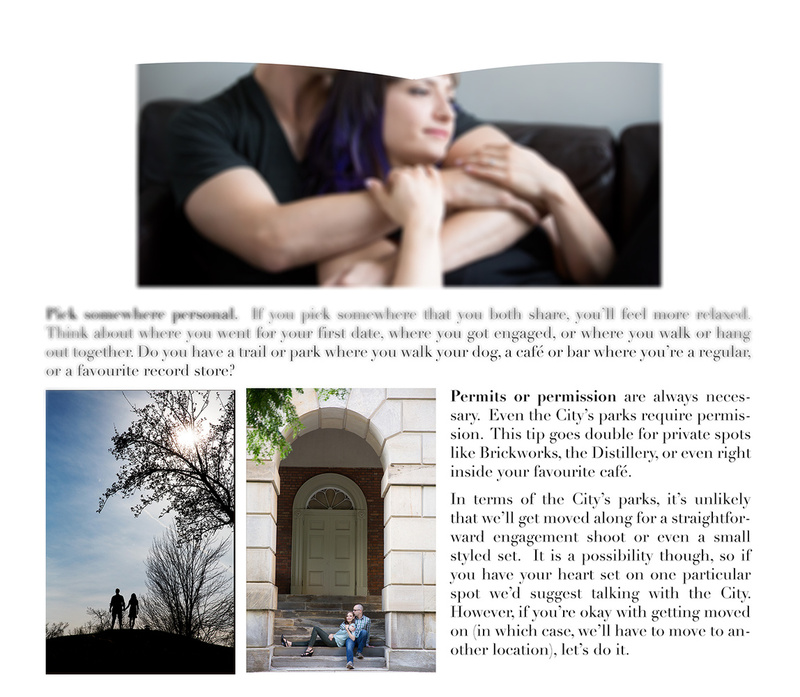 In terms of the city parks, it was unlikely that we’d get moved along for a straightforward engagement shoot or even a small styled set. I did stress that it was a possibility though. So, if my couple had their hearts set on one particular spot I suggested talking with the City or property owner to secure permission. "Permits or permission are always necessary. Even the City’s parks require permission. This goes double for private spots like Toronto’s Brickworks, the Distillery, or even right inside your favourite café." For private property (e.g., old town or inside a café or restaurant) or indoor city locations (e.g., Union Station), I explained that we’d certainly need permission or a permit. The odds of getting moved along from one of these spaces are very high. To make sure my couples could get what they wanted from one of these locations, I stressed that we’d need a permit. At this point I would make it my couples’ decision if they wanted to spend their money on a permit. In the alternative, I would often suggest similar or alternative locations for them to think about. If my couples didn’t want to get a permit, I’d be clear that we could still shoot until we were moved along. To keep expectations reasonable, I’d make sure my couple understood that getting moved along and then moving to a new location would take up time. Travel time that would ultimately take away from their shoot. 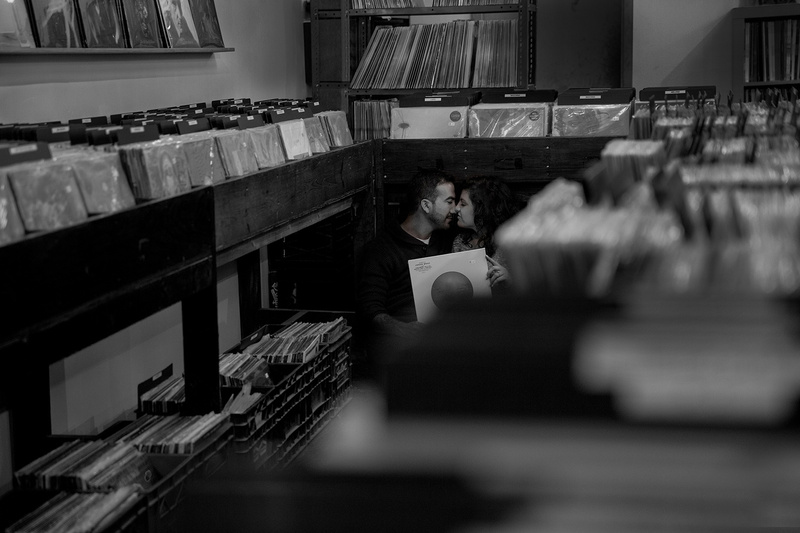 Over the years, I’ve found that if my couples already had a relationship with the owners of a specific location that they wanted to shoot in, getting permission wouldn’t be hard. As long as we didn’t have to set up a lighting rig, the owners usually saw it as a way to make their clients happy. As always, it’s best to discuss everything to make sure that everyone is on the same page. Is There Ever a Hard No? I would never have allowed my couples to settle on a location that was dangerous. No moving water with flowing dresses or scarves. No fast vehicles or busy roads. I’d never shoot on active railroad tracks or at the very edge of cliffs or bluffs. Never with any wild animals. If my couple wanted to shoot without a permit or permission and I had a previous relationship with the property owner, I would explain that I couldn’t risk ruining my relationships for their shoot. 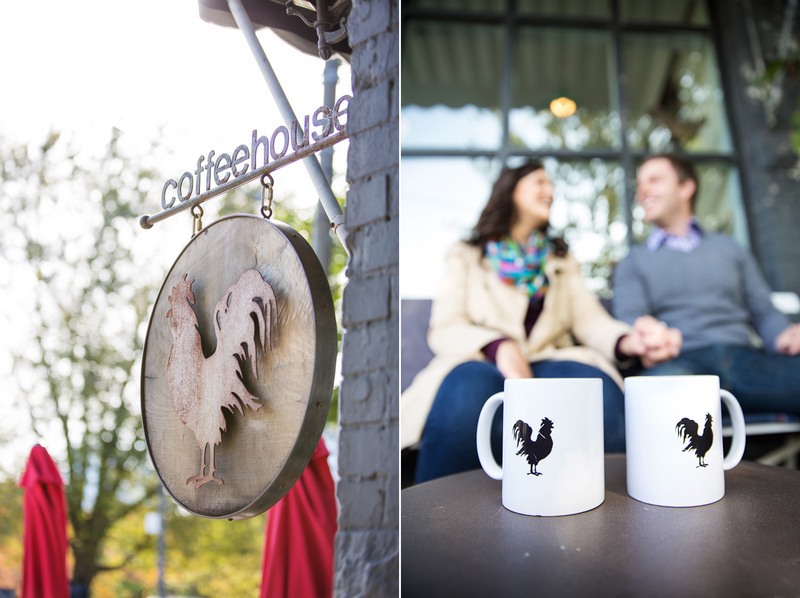 There’s no way I’d sour my morning latte experience for a café shoot. I wasn’t about to get banned from my favorite book or record store. Related, I’d ensure our contract set out that any fines for shooting without a permit would be payable by the couple. 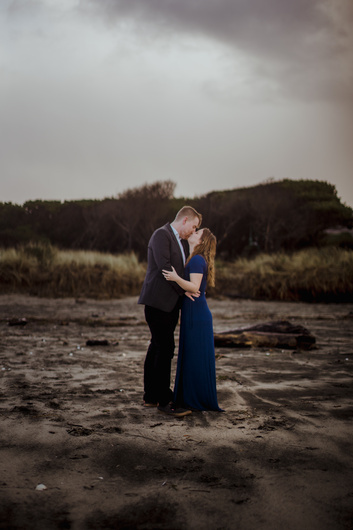 If I haven’t persuaded you that location is important for helping your couples relax or to match the feel of the shoot to your couples’ expectations from a customer service standpoint, think about it sentimentally. 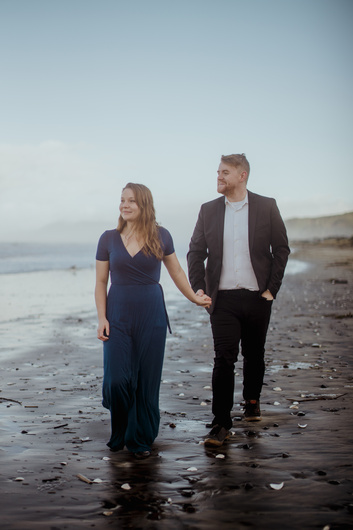 Ideally, you want your couple not only to use these engagement photos for guest books or posters on their wedding day, you want them to look back on the experience of having the photos taken and the final product fondly. 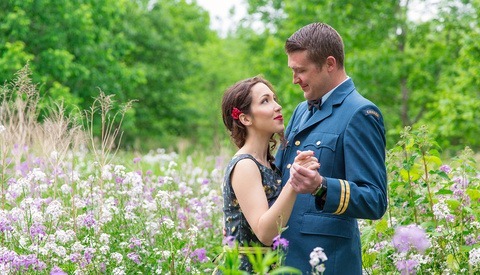 If the couple has picked a location that is part of their story, not just somewhere on trend, seeing their photos later should prompt a positive emotional response. This makes for a happier couple. And this is a couple that is also more likely to recommend you to their friends and family. 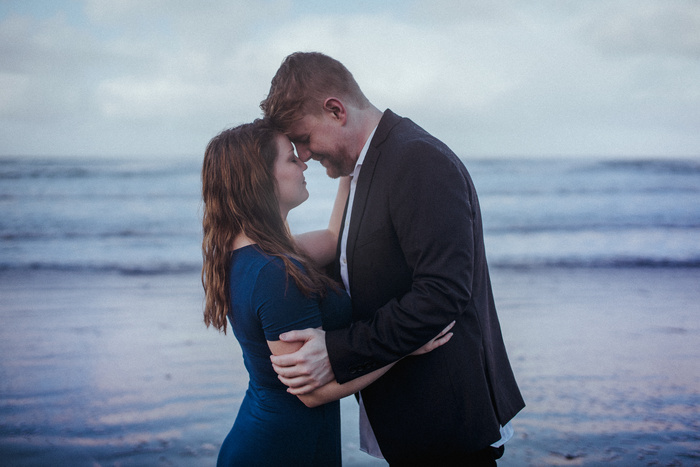 Are there types of places that you encourage your couples to select for engagement shoots? Why? Do you have favorite places to shoot? Are there places you'd never shoot? I’ll be back shortly with the third and final part, focusing on the “whats” of engagement shoots. This is great information. 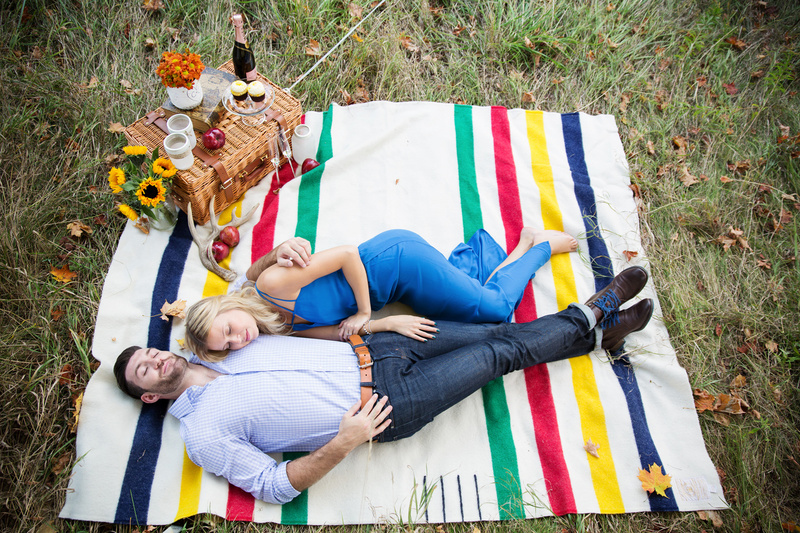 Establishing this communication and trust ahead of time always makes for a more romantic and relaxed shoot. 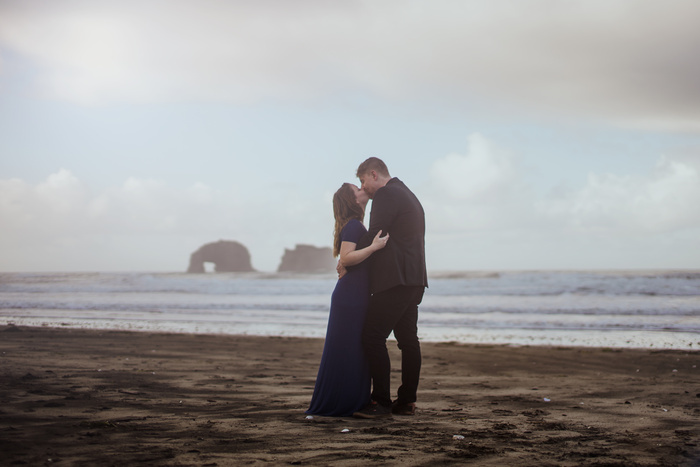 I just shot some engagement photos for my close friends and we only had about 20 minutes at this beach location, so communicating before hand was crucial to getting decent shots before having to leave. Thank you. And, thank you for sharing your work. Nice job!